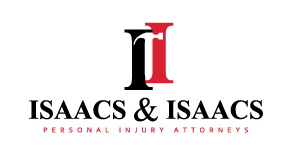 Isaacs & Isaacs law firm specializing in Personal Injury cases in the Louisville area. The firm prides itself on providing excellent legal representation in the areas of automotive, bad drugs, wrongful death, abuse, and other accidents and injuries. Owner Darryl Isaacs has earned a reputation for his aggressive representation of his clients, ensuring that they receive every bit of compensation they deserve for their case.